I’m back up in Northern California for the extended holiday weekend with some family. We’re staying in “lovely” Corning again like last year. But unlike last year, I should get more golf in. The forecast this week calls for mostly sunny skies the whole time I’m here. 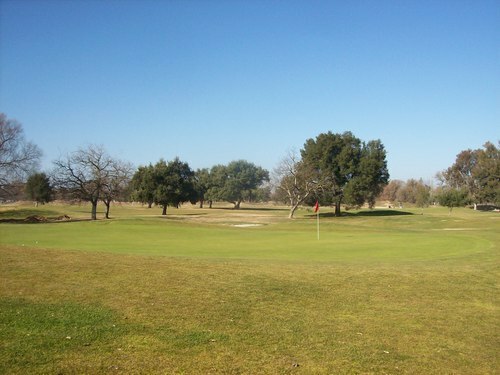 Last year, it poured down rain every day but one, when I was able to enjoy a soggy and chilly round at Sevillano Links (which I will be playing again tomorrow). I had one round planned for the drive up, a few while here and then some more on the drive back home over the weekend. 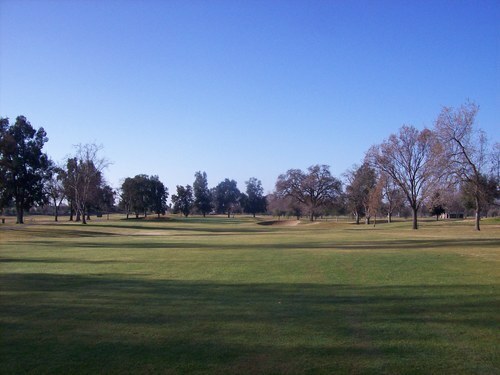 My stop this morning was at the Haggin Oaks Golf Complex in Sacramento. As I researched available options for an early Christmas morning round, the pickings were slim. This looked like the most interesting option by far. 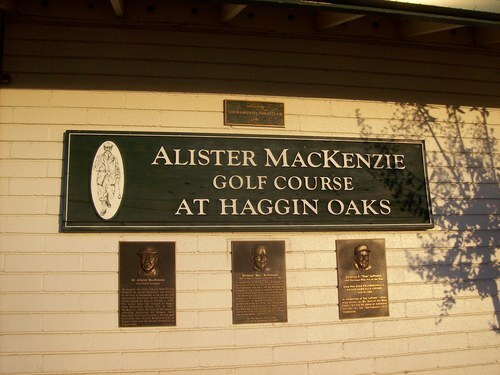 I’ve heard some decent things about Haggin Oaks in the past and was intrigued by the Alister MacKenzie name. What I didn’t know until about a week ago, though, was that MacKenzie actually designed this course. I have to admit I always thought it was just a tribute name. 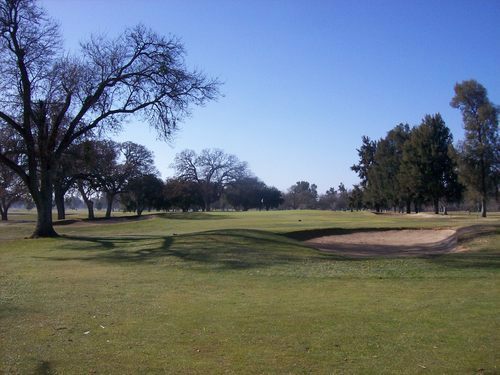 After having the chance to play famed Cypress Point last month and Pasatiempo a number of years ago, that made a visit to Haggin Oaks a no-brainer on this trip. 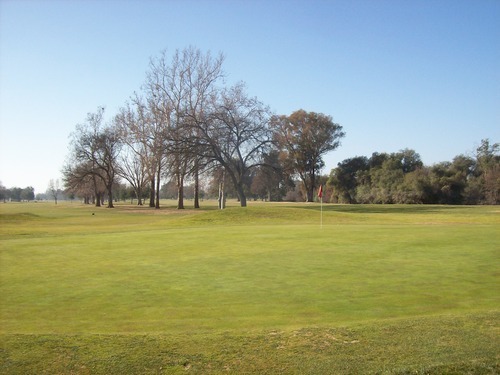 Well, if those two courses are two of his precious “babies,” then the one at Haggin Oaks might be more of the red-headed stepchild of the family. That’s not to rip on this course too much, but it’s certainly on a much different level. 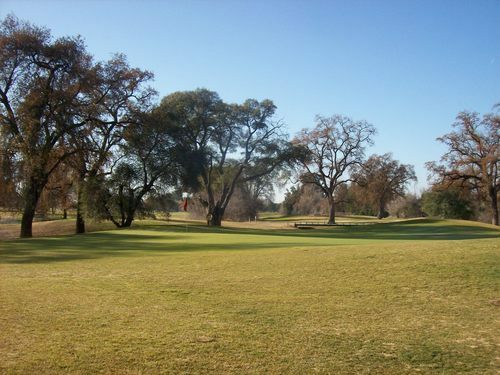 Originally opened in 1932, this course was first known as the Sacramento Municipal Golf Course. 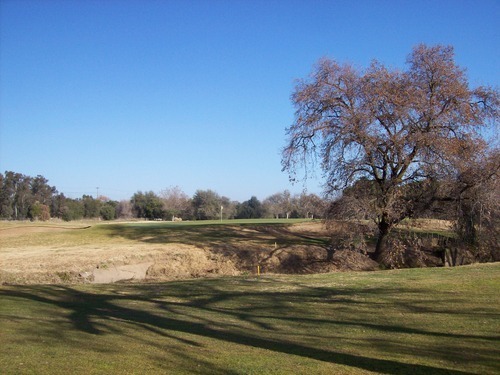 They later added another course (Arcade Creek) to the complex and renamed it Haggin Oaks, ultimately choosing to name the original layout after its famed architect. 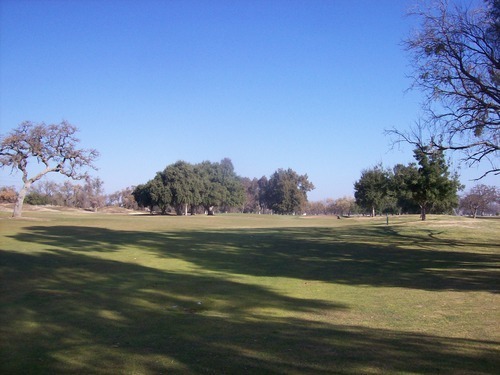 Officially, it is now called Alister MacKenzie Golf Course at Haggin Oaks. I was all set to go as early as possible with a 7:09 tee time, but the course wasn’t ready for me or any of the other dawn patrollers milling around the clubhouse. Unfortunately, without the normal winter rains in NorCal, that often means clear skies and very cold overnight temperatures. 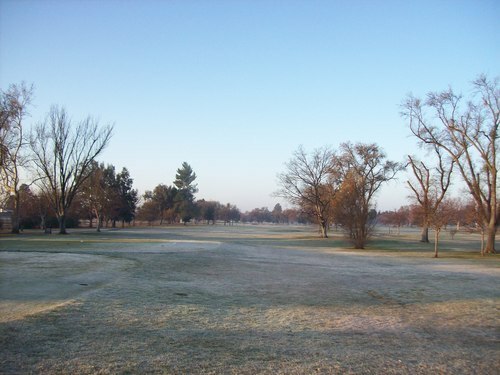 In other words, the dreaded FROST DELAY! I was already there, so I stuck with my guns and waited over two hours for the frost to clear. I ultimately teed off around 9:15 as part of the first foursome out. We moved along pretty well, but I needed to get back on the road as soon as I could, so I ultimately had to be a d!<k and go ahead on my own on the back nine. I ended up finishing by 12:30, so it worked out well enough. Perhaps the frost delay got me down or the winter conditions were less than inspiring, but I was ultimately underwhelmed by the course. Had I not known the design pedigree, I wouldn’t have given the layout much critical thought. 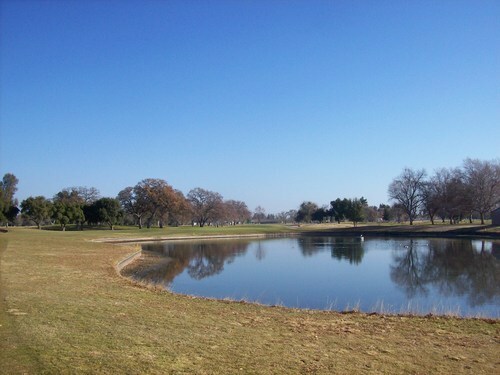 It seems like a pretty traditional old parkland course. 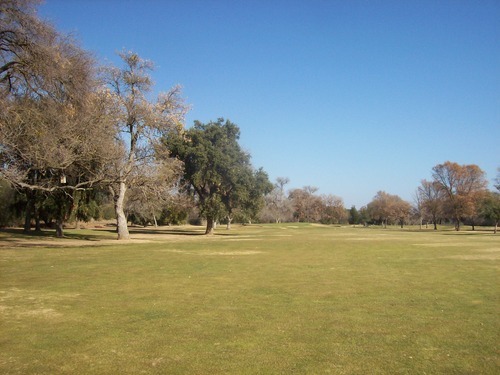 It’s very flat and the fairways are lined with old growth trees. There are some interesting portions during the middle stretch of holes with a small ravine in play, but nothing really blew me away. 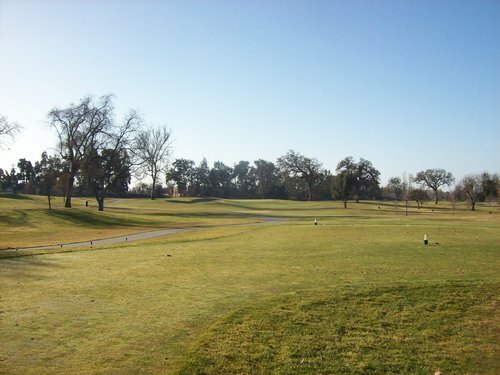 This is a good option to have as a muni course in Sacramento, but it’s definitely not worth going too far out of your way for if visiting from out of town. 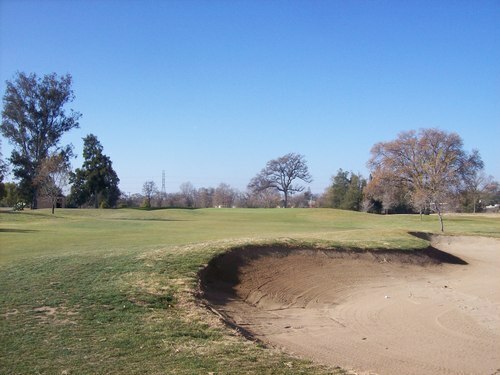 On the positive side, I think the two most interesting factors of the MacKenzie Course are the bunkers and the greens. This is where most of the challenge lies. 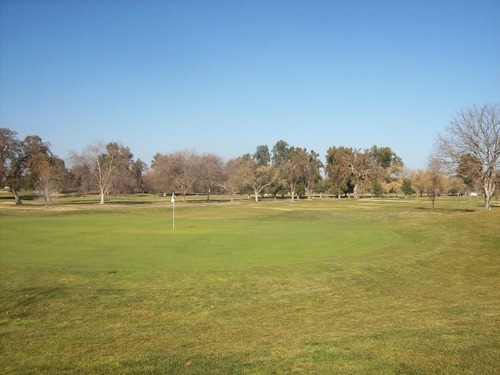 The layout is mostly pretty straightforward from tee to green, so the subtleties on and around the greens provide some bite throughout the course. Though there aren’t a ton of bunkers on the course, I would describe most of them as pretty “penal.” It’s best to avoid them or be left with an awkward recovery shot. The greens don’t feature a ton of slope or undulation, but what’s there is very difficult to read and the subtle breaks will drive you crazy after awhile. I opted to play be black tees (6,991 yards) with the group I joined, which was probably a bit foolhardy on my part. However, outside of the added distance, which was largely negated by firm and fast conditions, I don’t think it made the course too much more difficult. 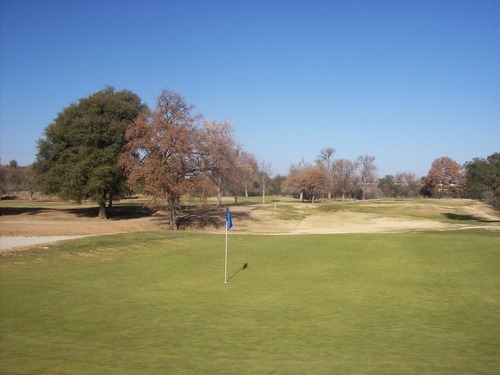 There is one beastly 631-yard par-5 on the back nine (No. 11). The first two shots are pretty open and straight, but then the green is tough to get at when you finally are within approach range, so it really is an evil one! 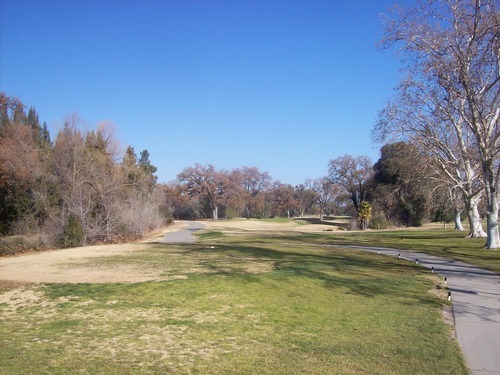 The course was definitely in winter shape, so the fairways and rough were pretty much dormant with more brown than green showing, and most of the trees were devoid of leaves. It was not very pretty looking. The most interesting things to look at were all the wild turkeys roaming around. Still, the playing surfaces weren’t as bad as they looked. 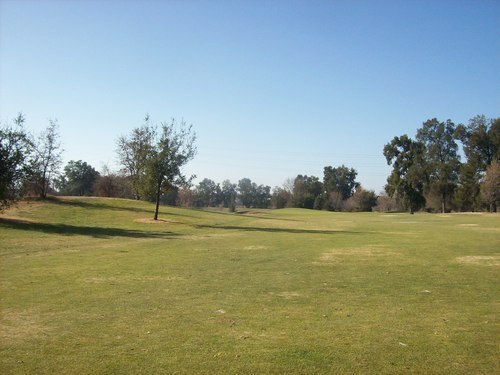 There were lots of thin/firm spots in fairways, but I mostly had decent lies. The rough was cut down, so it was not penal at all. It generally presented more fluffy lies and was more consistent and enjoyable to hit from than the fairways. What matters most is that the greens were in very nice shape. I preferred them early on when they were still wet and much more receptive. Once they dried out, they got very firm and hard to hold. They were also pretty quick in terms of speed. The bunkers apparently had just gotten new sand, so it was a bit too soft at this stage. Balls would sink down a bit or plug easily, so it was very tough to recover from them. 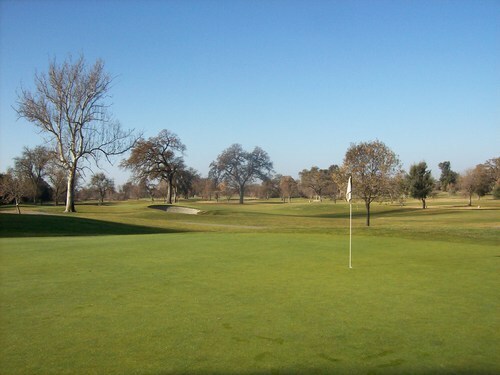 I’m sure both Haggin Oaks courses present much better when the trees are alive and green and the grass is nice and lush. That said, the layout isn’t anything that amazing. It’s a pretty basic old school course with a nice muni character (which brings with it some good traits and some bad ones, too, as we all know).